Dr. Andrew ('Andy') Hillier is originally from South Africa where he graduated from the Faculty of Veterinary Science at the University of Pretoria, (Onderstepoort) in 1982. After 2 years military service, he was in small animal primary care practice for 8 years in South Africa (Cape Town) and Australia (Perth). Dr. Hillier completed a residency in veterinary dermatology at the University of Florida from 1992-1994 and became board certified by the American College of Veterinary Dermatology in 1994. 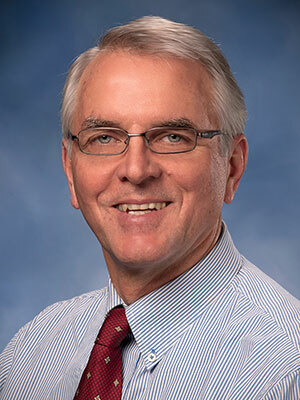 Thereafter he established his own dermatology referral practice in Australia before heading back to the US in 1996 where he was on faculty at The Ohio State University for 17 years, becoming a Full Professor and Head of the Dermatology + Otology Service. He left Ohio State in May 2013 to join Zoetis as a Senior Veterinary Specialist. Dr. Hillier has published over 40 peer-reviewed articles, edited and written books and book chapters, and lectured extensively both in the US and internationally. His primary areas of interest are staphylococcal pyoderma, antimicrobial drugs, atopic dermatitis, otitis and demodicosis. Before treatment recommendations for pyoderma can be made, the clinician must make an accurate diagnosis. This has become increasingly important as the incidence of drug-resistant infections (especially methicillin-resistant Staphylococci) has increased and there is significant attention on the appropriate use of antibiotics. Diagnostic considerations to be discussed include: depth of infection in the skin (surface, superficial and deep), skin cytology, skin culture and biopsy.